***PLEASE NOTE: When using the CyberSync™ Trigger Transmitter 2 (CST2), the CyberSync™ Plus Model Receivers are compatible, but they are not necessary. The CyberSync™ Plus models are only needed when using the Cyber Commander™, or you anticipate purchasing the Cyber Commander™ in the future. 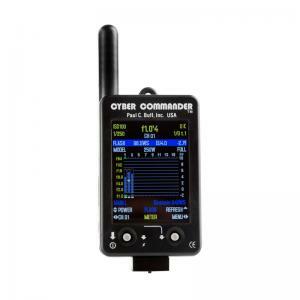 If you do not plan on using the Cyber Commander™, the regular CyberSync™ (non plus model) receivers are sufficient. 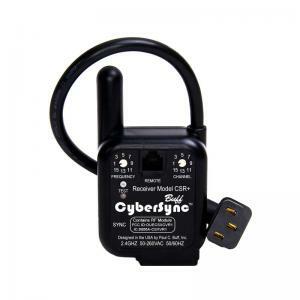 If using the basic CyberSync™ trigger transmitter with the CyberSync™ plus model receivers (and no Cyber Commander™), the channel dial on the receiver is not utilized. Also be sure to only use the sync cord to plug into the flash units sync jack as the telephone cable provided with the CyberSync™ plus models is also only used when using the Cyber Commander™.